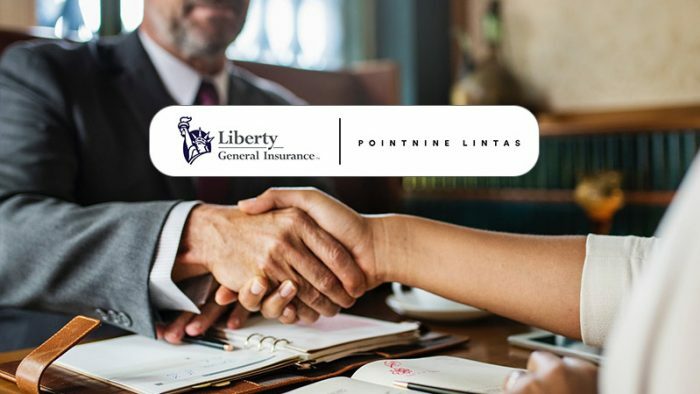 Liberty General Insurance Limited appointed the omnichannel creative agency PointNine Lintas to handle its creative and media duties. The appointment was announced as an outcome of a multi-agency pitch that was won by the agency on the back of its omnichannel approach. Liberty General Insurance Limited is a joint venture between Liberty Citystate holdings PTE Ltd, a group company of US Headquartered Liberty Mutual Insurance Group, a leading multinational property and casualty group, Enam Securities, a privately owned and managed firm that makes long-term investments in listed companies, as well as backs entrepreneurs building valuable private companies and DP Jindal Group, an industrial conglomerate. With its product offerings across the motor, health and commercial lines, Liberty aims to drive brand awareness and recall by building strong differentiation in the market. To partner the insurance company in this endeavour, PointNine Lintas will be putting together a multi-disciplinary team to craft communications for the brand in the market. PointNine Lintas has put together a multi-disciplinary team to deploy its service-stack that includes brand planning, comms planning, creative and media services, led by Vidhu Sagar, National Director, Media – PointNine Lintas and Executive Director of its media division – Lintas Mediahub. The agency is currently working closely with the team at Liberty General Insurance and its distinct offerings in the market. PointNine Lintas is already working on the brand’s upcoming campaign, more details will be revealed soon.